The best time to see Atlantic horseshoe crabs (Limulus polyphemus) is on the nights of the full and new moon in May and June. I am still in Mozambique, and will be here for a few more weeks, but I simply must take a quick break from describing African nature to highlight a spectacular phenomenon that is taking place right now along the eastern coast of North America – the mass spawning of the Atlantic horseshoe crabs (Limulus polyphemus). Watching these magnificent animals is to me one of the most beautiful natural events that one can witness, and I encourage everybody living on the East Coast to take a trip to the beach this and next month (this year the best time to see them are nights of May 24th, and June 9th and 23rd.) 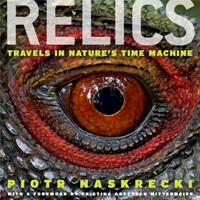 What follows is a short excerpt from my book “Relics” (Chicago University Press 2011), describing my experience of watching horseshoe crabs on the beaches of the Delaware Bay. 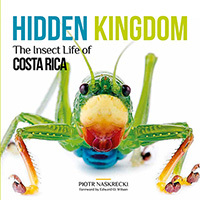 “As hundreds of biting flies did their best to drain us of every drop of blood, my friend and fellow photographer Joe Warfel and I stood on the beach, waiting for the spectacle to begin. The sun grew dim, and the high tide was nearing its peak. There were a few people on the beach when we first arrived, but by now they had all disappeared, and we were the only witnesses to what was about to unfold. I started to tell Joe how strange it was that nobody else stayed to watch, but swallowed a fly and decided to quietly enjoy the rest of the evening. First came the big females. Nearly all had males in tow. In the dimming light we could see spiky tails of hundreds more as they tumbled in the waves, trying to get to the dry land. 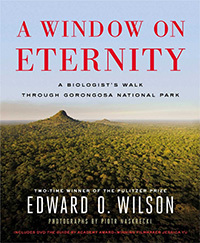 By the time the sun fully set, the beach was covered with hundreds of glistening, enormous animals. Females dug in the sand, making holes to deposit their eggs, nearly 4,000 in a single nest, while the males fought for the privilege of fathering the embryos. Fertilization in horseshoe crabs is external, and often multiple males share the fatherhood of a single clutch. Equipped with a pair of big, compound eyes (plus eight smaller ones), capable of seeing the ultraviolet range of the light spectrum, male horseshoe crabs are very good at locating females even in the melee of waves, sand, and hundreds of other males. Delaware Bay is the best place in the world to see these magnificent animals. 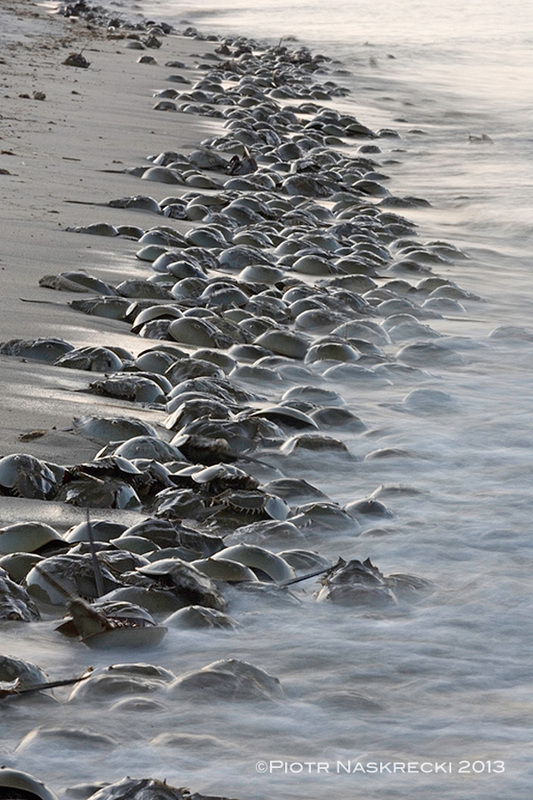 On a good night one could easily see 100,000 horseshoe crabs. 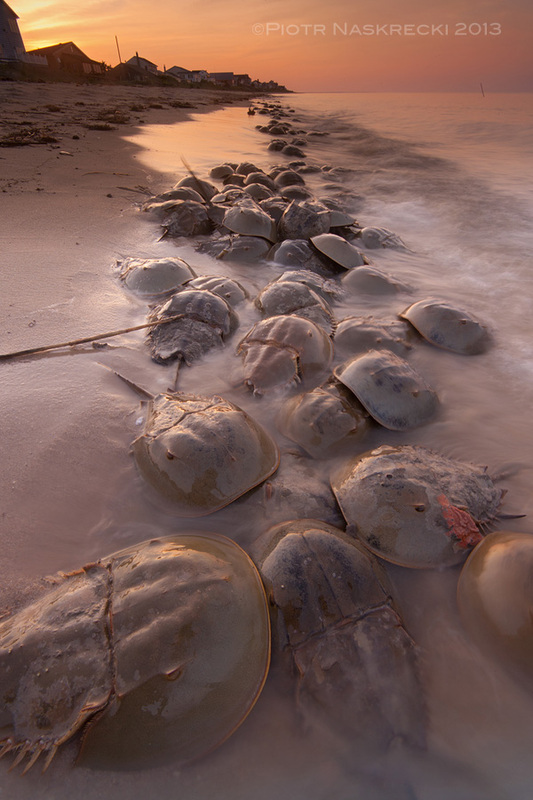 Horseshoe crabs have been around longer than most groups of organisms that surround us now. A recent discovery in the fossil deposits of Manitoba, an interesting little creature named Lunataspis aurora, proves that horseshoe crabs quite similar to modern forms were already present in the Ordovician, 445 million years ago. By the time the first dinosaurs started terrorizing the land in the Triassic (about 245 million years ago), horseshoe crabs were already relics of a long-gone era. And yet they persisted. Dinosaurs came and went, the Earth changed its polarity and climate many times over, but horseshoe crabs slowly plowed forward. Yet during this time they changed surprisingly little. Species from the Jurassic were so similar to modern forms that I doubt I would notice anything unusual if one crawled in front of me on the beach in Delaware. Somehow horseshoe crabs had stumbled upon a lifestyle and morphology so successful that they were able to weather changes to our planet that wiped out thousands of seemingly more imposing lineages (dinosaurs and trilobites immediately come to mind.) 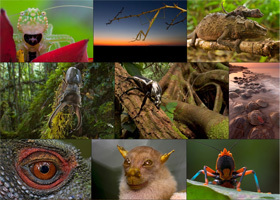 But despite claims to the contrary by creationists and other lunatics, they kept evolving. Modern horseshoe crabs, limited to three species in Southeast Asia and one in eastern North America, differ in many details from their fossil relatives. We know, for example, that many, if not most of fossil horseshoe crabs lived in freshwater, often in shallow swamps overgrown with dense vegetation, and some might have even been almost entirely terrestrial. Currently only the mangrove horseshoe crab Carcinoscorpius rotundicauda from the Malayan Peninsula routinely enters rivers, and is the only species to lay eggs in fresh or brackish water. Even Sir David Attenborough, a man who probably witnessed more natural spectacles than any other human being, is fascinated by the spawning of horseshoe crabs. 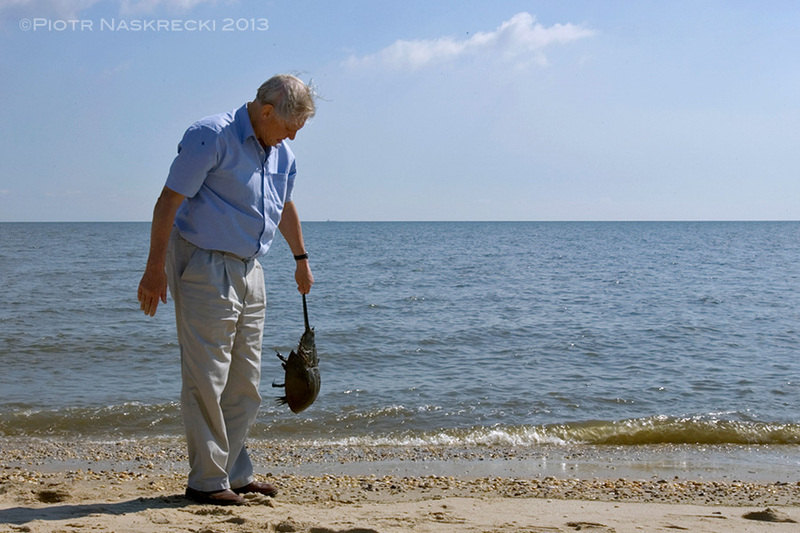 Here he demonstrates the improper way of holding a horseshoe crab (never hold them by their telson) while on the beach in Delaware during the filming of the BBC series “Life in the Undergrowth”. 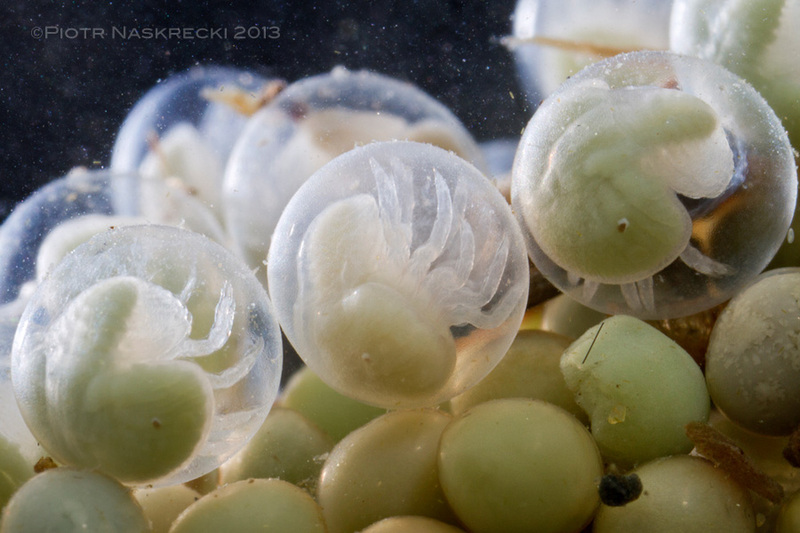 Tiny horseshoe crab larvae, known as the trilobite larvae, twirling in their aquarium-like egg shells. 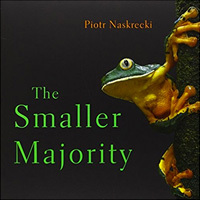 Soon they will break free to begin a short pelagic period, after which they settle on the bottom of the ocean to begin a lifestyle similar to that of their parents. 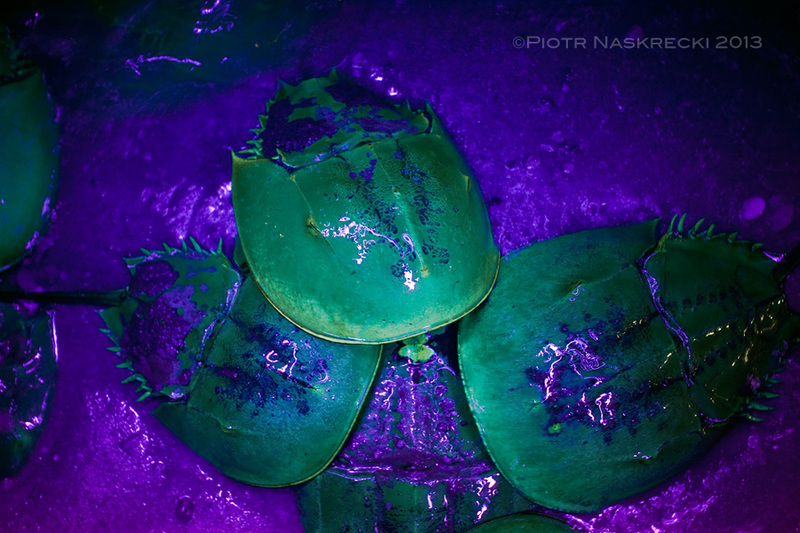 Just like their distant relatives, scorpions, horseshoe crabs display green fluorescence under the ultraviolet light. 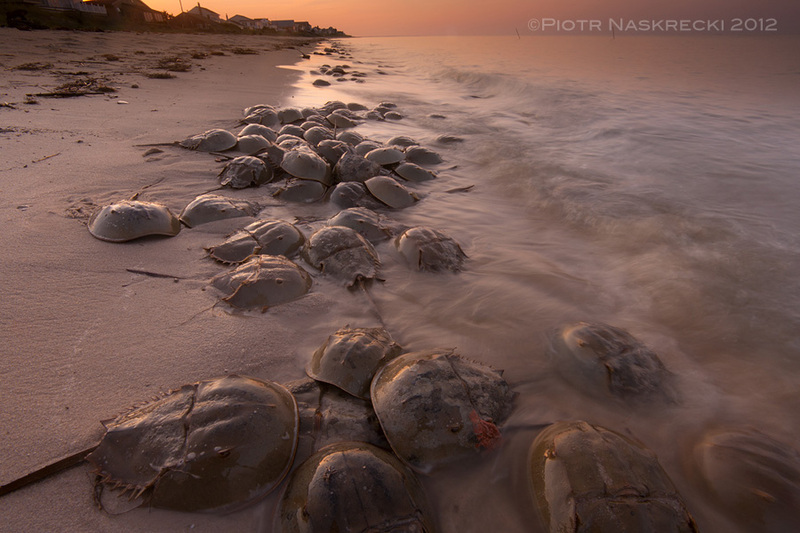 Atlantic horseshoe crabs on the Prime Hook Beach near Milford, Delaware. I found a tagged one a few years ago at Wellfleet Bay Wildlife Sanctuary. I sent in the tag number and got a print out of how far and wide it had travelled since being marked. It didn’t leave the bay… lol. Anyways, they are the most amazing creatures and thanks for this heads up! I even got a pewter pin of a horseshoe crab…too big to wear but nice and a great reminder. I always look for them this time of year. I plan on a May 24th trip to the beach…. thanks !!!!!! I stumbled upon this in Talahassee in June of 1991 and I’ll never forget it!